Mark Smith from Cycle Derby and Simon Ingham, Managing Director of Bennetts department store, had an idea of creating a great place for cyclists to park, shower and eat to encourage more people to cycle in Derby. 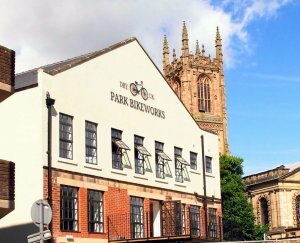 In 2012, Derby launched its Connected programme which created the opportunity to start the project which has turned into reality with the opening of Park Bikeworks. 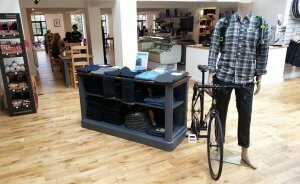 Described as "One building with everything cycling", their central Derby location offers free bike parking, showers and lockers, as well as servicing, a shop and a deli. 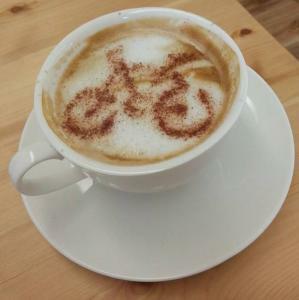 Simon and I have always been passionate about bikes and cycling as well as great food and drink. We wanted to create something that encourages more people to get out on their bikes or start riding for the first time. We offer a unique facility that breaks down the barriers to cycling. Fundamentally we provide free, secure bike parking. For the commuters we offer showers and lockers. 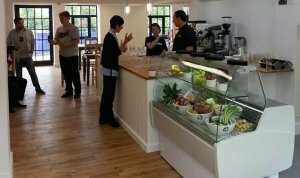 We cater for the hungry cyclist or people who just want to come and enjoy our amazing cafe deli by providing a menu that constantly changes with both the seasons and people's desire to try something new. We wish to provide a safe and secure facility for those wishing to ride into town and park their pride and joy but at the same time deliver a welcoming environment to those who have always wanted to get into cycling but felt too uncomfortable to ask. Fuel up in the deli. In the first week over 650 people came just to park their bikes. We are now seeing a regular 40 to 60 spaces used each day. We've had coverage from local TV, radio and newspapers. Our social media visits are very encouraging. We've had hardened cyclists who have ridden from as far as Bolton just to come and see us. We had a visit from a gentleman who was cycling from Lands End to John O'Groats and took a 40 mile detour to pay us a visit! The national press have even expressed an interest in doing a Saturday supplement on us and all of this was in the first few weeks! Our young team have been selected for their passion and knowledge for cycling and great service. As soon as you walk through our doors you will always be greeted with a smile and a hello. You will never be ignored or pushed into something you don't want. Our purpose is to help you find exactly what you are looking for be it cycling, great food or just a place to park your bike. Cycling is an amazing way to travel, it's quick, cheap and healthy. If you've considered it then try it and if you need some assistance with purchasing a bike, ensuring yours is in tip top working order or if you want to gain confidence to get you started then come and give us a try. 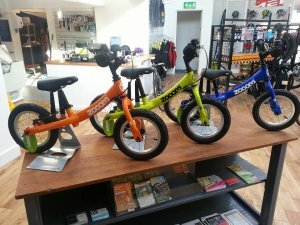 Bikes for youngsters and adults.